VETA was commissioned by Würth Hellas to engineer, fabricate and assembly the custom made and modular metal shelving systems for the company’s new retail stores in Greece. WÜRTH is an internationally successful supplier of assembly and connecting materials, technical chemical products, workwear, storage systems and more. Würth is the world leader in trade in assembly and fastening materials with a presence in over 80 countries worldwide supplying more than 125,000 high-quality products for industrial needs and craft heritage. 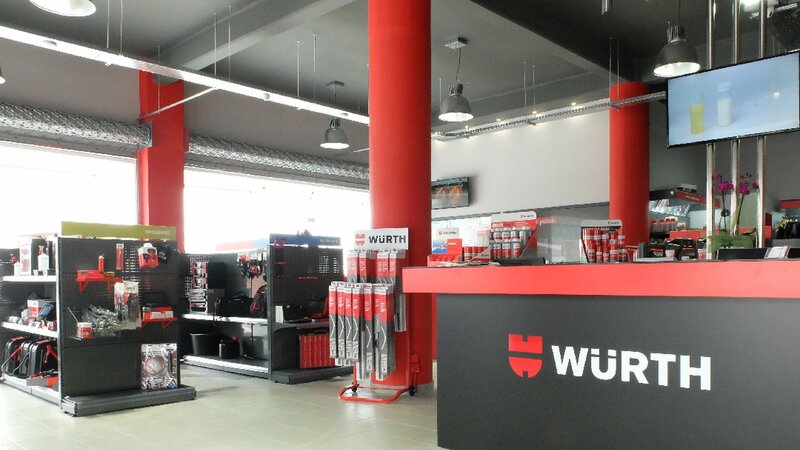 A complete business plan was conceptualized by VETA SHELVING SYSTEMS unit so that specific demands can be met for the next generation of Würth’s retail shops in Greece. With a clear focus on quality and service VETA’s professional team of experts applied the latest fabrication developments utilizing its advanced machinery in precision sheet metal manufacturing. Special ergonomic, conceptual, marketing and durability factors set by WÜRTH HELLAS were taken into account together with a suite of cost-effective solutions applied by VETA. Würth’s new flash-ship store houses the company’s full directory of tools, systems and products such as fasteners, screws and screw accessories, dowels, chemicals, electronic and electromechanical components, furniture and construction fittings, tools, machines, installation material, automotive hardware, inventory management, storage and retrieval systems etc.